For any request, please contact-us. To come to the Vallon des Auffes, do not “put the spleen in court-bouillon”, come instead to taste ours. 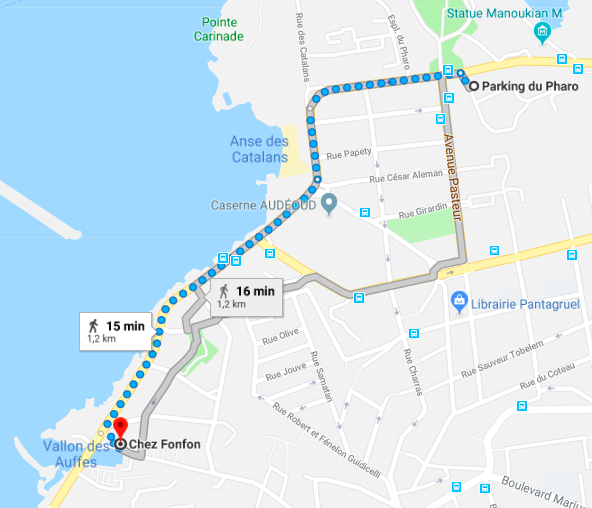 By parking at the Pharo car park, a walk of just 15 minutes along the seaside, you will access the Vallon des Auffes. You can also come by taxi or take bus 83 from the Old Port.